Does your favorite fella have a beard? Beard Oil is all the rage right now. Use the right blend of oil bases and essential oils to create a moisturizing blend that will become part of your guy’s daily routine. See the supply affiliate links for items that I recommend! Notice the photo on the side bar? My hubby has quite the beard. He started growing it when I became pregnant with the triplets. They have never seen him without it. About a year into growing the beard, he discovered beard oil. Who knew there was such a thing? Since then, he’s tried almost every beard oil under the sun. If you’ve never priced it, beard oil can be pricey. I didn’t realize until attending a local craft show that I could make my own beard oil. So I set out to find a manly scented essential oil to make my own beard oil. I have a small medicine cup that I use specifically for essential oils. I have it marked and put away so that it is not ever used for medicine or food. It helps for measuring out small quantities like I need for mixing essential oils. Measure 3/4 ounce of almond oil. Pour into the bottle. Measure 1/4 ounce jojoba oil. Pour this into the bottle with the almond oil. 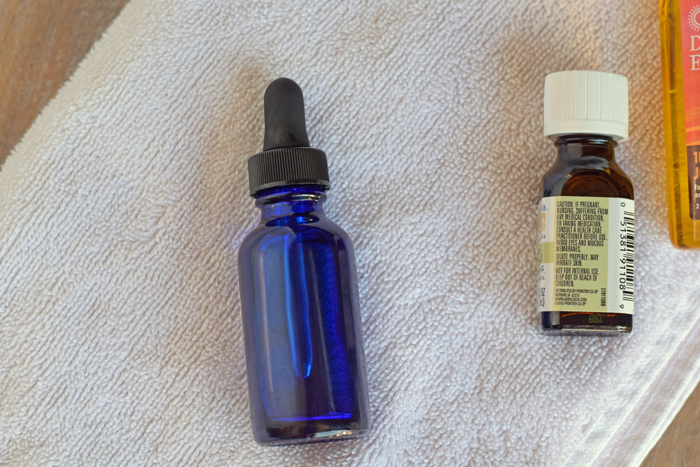 Drop 8 drops of the Texas Sandalwood Essential Oil into the bottle. Close the bottle and shake it to thoroughly combine the mixture. I like the Texas Sandalwood Essential Oil because it has a nice, masculine scent. Of course, you could use any other essential oil smell that you or or hubby likes. These also make nice gift ideas for the upcoming holiday season or for Father’s Day. 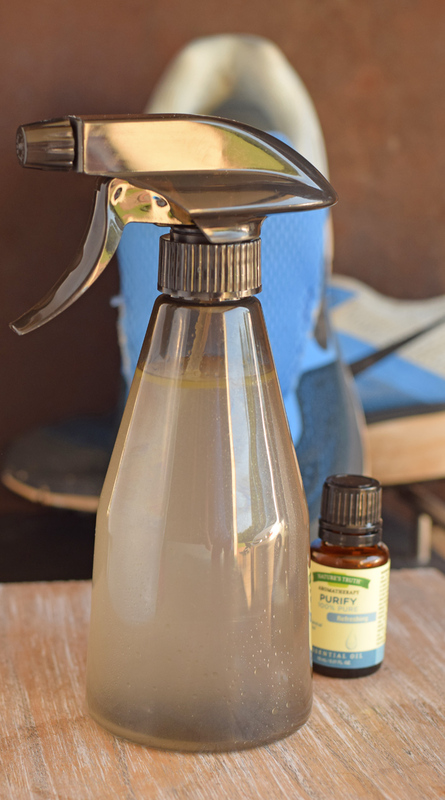 Try this DIY Shoe Deodorizing Spray for more creativeness with essential oils! 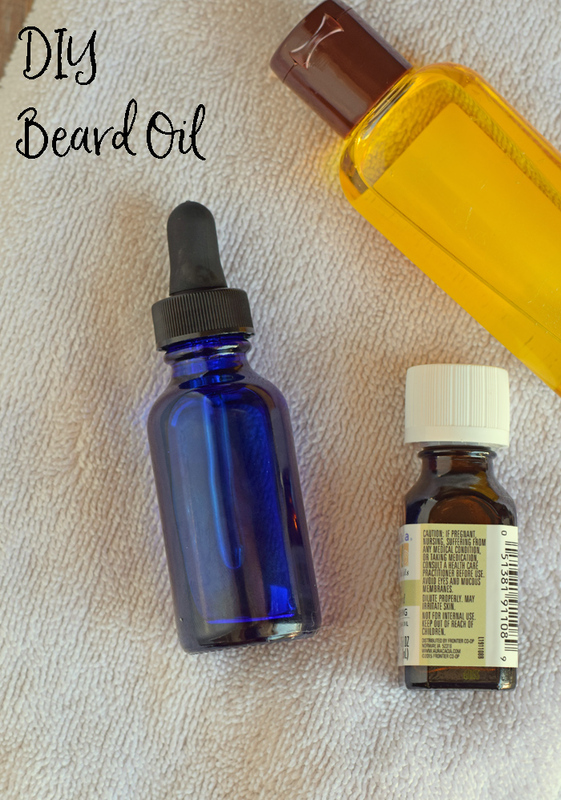 My hubby doesn’t have a beard, but I love the idea of making beard oil! Thanks for sharing. Jojoba oil is great for dandruff (beardruff). 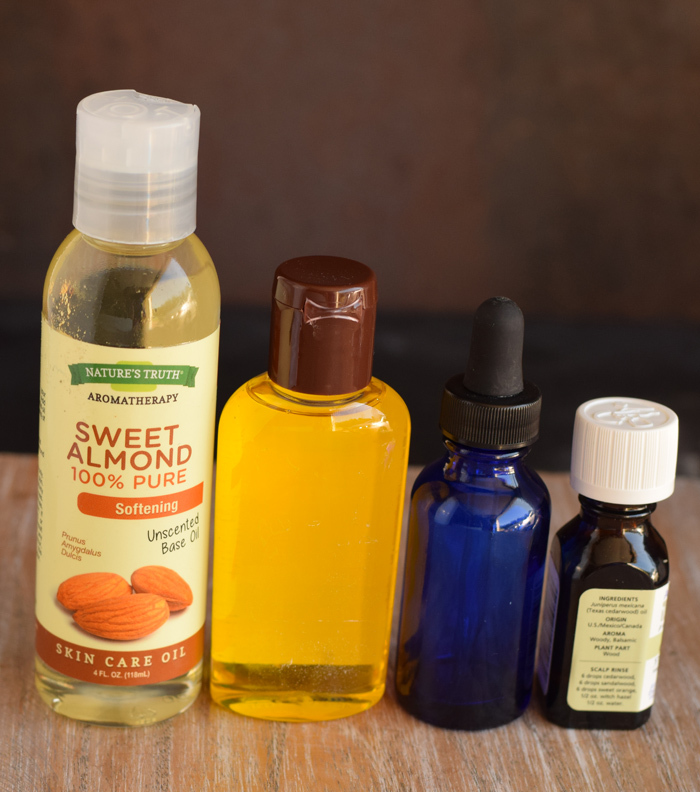 Two other great carrier oils to use are: argan and macadamia nut. For essential oils, lime and blue chamomile work very well in beard oils.